The NZ dollar spiked up against its key counterparts in early Asian deals on Thursday. The kiwi strengthened to more than a 2-week high of 0.8521 against the greenback and a 2-1/2-year high of 1.2102 against the aussie. The kiwi is likely to find resistance around 0.86 against the greenback and 1.20 against the aussie. The kiwi that closed yesterday's deals at 84.37 against the yen approached 84.71, its strongest since April 12. Against the euro, the kiwi rose to 1.5321 at 9:55 pm ET. The Japanese yen climbed against the U.S. dollar in early Asian deals on Friday. 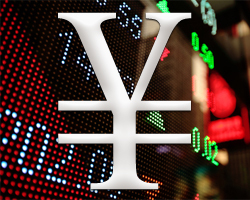 The yen is now trading at 99.02 against the greenback, compared to Thursday's close of 99.33. The next upside target level for the yen is seen around 98.00. 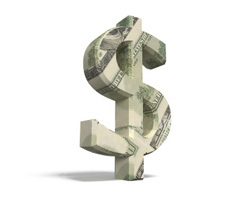 The U.S. dollar advanced against the British pound during Asian morning deals on Tuesday. 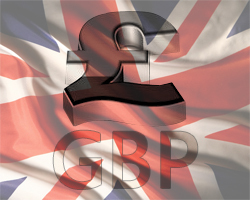 The greenback that closed Monday's deals at 1.5494 against the pound approached a 4-day high of 1.5477. On the upside, 1.535 is seen as the next target level for the greenback. Australia's building approvals for March, export and import price indices for the first quarter were released in the early Asian session on Thursday at 9:30 pm ET. Amid the data, the aussie weakened further against other major currencies. The aussie is presently trading at 1.0250 against the greenback, 99.72 against the yen, 1.2072 against the kiwi and 1.2859 against the euro. 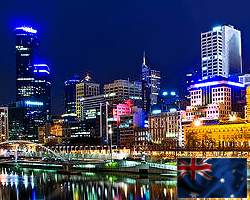 Final demand producer prices in Australia were up 0.3 percent in the first quarter of 2013 compared to the previous three months, the Australian Bureau of Statistics said on Friday. 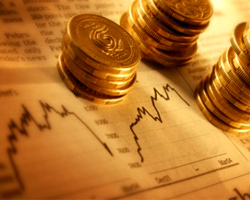 That followed the 0.2 percent increase in the fourth quarter of 2012. On a yearly basis, final demand producer prices added 1.6 percent after rising 1.0 percent in the three months prior. 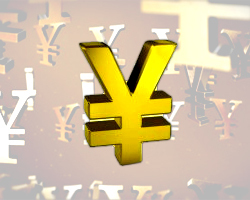 The Japanese yen advanced against other major currencies in early Asian deals on Tuesday. The yen approached 4-day highs of 98.84 against the greenback, 153.67 against the pound, 105.34 against the franc, 129.24 against the euro, 84.11 against the kiwi, 101.22 against the aussie and 98.16 against the loonie. The Japanese yen pulled back from its early highs against other major currencies in early Asian deals on Wednesday. 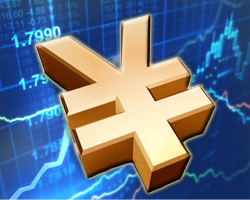 The yen is now trading at 98.64 against the loonie, 99.11 against the greenback, 153.48 against the pound, 129.76 against the euro, 105.44 against the franc and 100.99 against the aussie, off an early high of 98.18, 5-day highs of 98.65, 152.76, 129.00, 104.88 and 100.41, respectively. 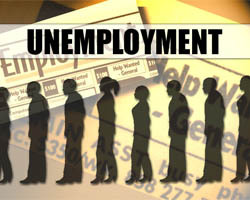 The unemployment rate in New Zealand was 6.2 percent in the first quarter of 2013, Statistics New Zealand said on Thursday. That handily beat forecasts for 6.8 percent, which would have been unchanged following a revision from 6.9 percent. The employment change added 38,000 more people or 1.7 percent on quarter and 0.3 percent on year after rising 0.8 percent on quarter and falling 0.7 percent on year in the previous three months. The rise in employment came mainly from full-time employment and was across a range of industries, the bureau said. "We saw labor market conditions improve over the quarter as employment increased and unemployment fell. This improvement followed a period of weakness over 2012, when employment and labor force participation fell," industry and labor statistics manager Diane Ramsay said. "However, while this is a strong turnaround, the labor market has yet to recover to levels seen at the start of last year." The participation rate was 67.8 percent, matching forecasts and up from 67.2 percent three months earlier. 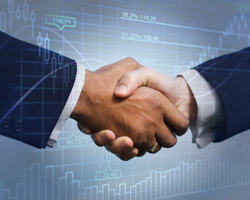 The employment rate rose to 63.7 percent in Q1, up from 62.7 percent in the fourth quarter of 2012. The number of people unemployed fell by 15,000 over the quarter. "We usually see actual unemployment rise in March quarters as a result of seasonal factors, such as students entering the job market. We didn't see this happen this quarter, and this has resulted in a larger than expected seasonally adjusted quarterly fall," Ramsay said. 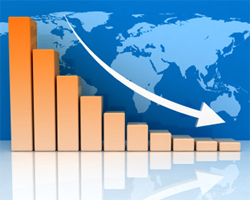 The number of people outside the labor force decreased in the March 2013 quarter. 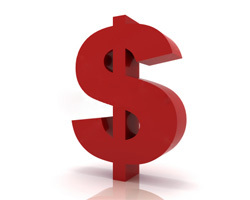 The US dollar extended its overnight gains against the currencies of Japan and Switzerland on Friday morning in Asia. The greenback jumped to 100.94 against the yen, its strongest level since April 2009 and a 0.3 percent appreciation from Thursday's close of 100.63. On the upside, the dollar-yen pair may find target around the 103.0 level. 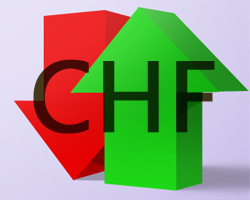 The greenback also continued to creep higher against the Swiss franc, rising back above the key 0.95 level after a gap of 5-weeks. The dollar rose as high as 0.9507 against the Swiss franc, adding almost 0.3 percent from Thursday's closing quote of 0.9481. The next likely resistance level for the greenback-franc pair is seen around the 0.9540 level. Fell to 101.98 yen per dollar, the lowest since October 2008. 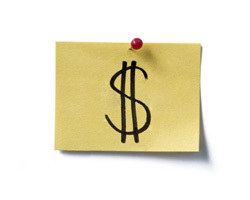 The dollar was last at 101.56 yen, up 0.97 percent on the day. 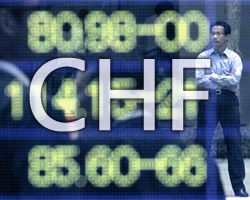 The Swiss franc rose against its key opponents in the Asian morning session on Tuesday. The franc is now trading at 106.51 against the yen and 1.2409 against the euro, rebounding from early lows of 106.18 and 1.2434, respectively. 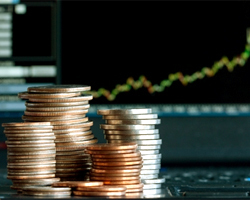 The franc climbed to a 4-day high of 0.9523 against the greenback. The next upside target level for the franc is seen around 0.945. The franc that ended Monday's trading at 1.4647 against the pound approached a 5-day high of 1.4596. The Japanese yen spiked up against the Swiss franc in early Asian deals on Wednesday. The yen approached a 5-day high of 105.74 against the franc, compared to Tuesday's close of 105.80. The next upside target level for the yen lies around 104.00. Japan's gross domestic product expanded 0.9 percent in the first quarter of 2013 compared to the previous three months, the Cabinet Office said in Thursday's preliminary report. The headline figure beat forecasts for an increase of 0.7 percent following the flat reading in the previous three months. Q4's reading barely broke a string of three straight quarters in the red. On a yearly basis, GDP jumped 3.5 percent - also topping expectations for a gain of 2.7 percent following the upwardly revised 0.2 percent increase in Q4. Nominal GDP was up 0.4 percent on quarter, just shy of forecasts for 0.5 percent after dipping 0.3 percent in the previous quarter. The GDP deflator was down 0.4 percent on quarter after easing 0.3 percent in the three months prior. On year, the deflator was down 1.2 percent versus forecasts for 0.9 percent after falling 0.7 percent in Q4. Capital spending declined 0.7 percent on quarter, missing expectations for an increase of 0.7 percent following the 1.5 percent contraction in the previous three months. Private consumption added 0.9 percent, while exports made a 0.4 percent net contribution to GDP. San Francisco Fed's Williams say Fed could end QE this year. Dollar index near its July peak. The dollar is climbing against all of its major competitors at the end of the trading week. The stronger than expected increase in U.S. consumer confidence helped to assure investors of recovery in the U.S. economy, following the release of some weak data in recent days. 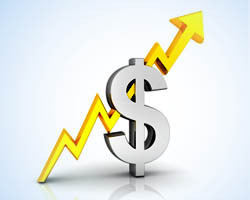 Consumer sentiment in the U.S. has seen a substantial improvement in the month of May, according to a report released by Thomson Reuters and the University of Michigan on Friday, with the consumer sentiment index rising to its highest level in nearly six years. 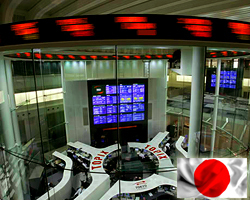 Japan is scheduled to release a batch of data on Monday, highlighting a modest day for Asia-Pacific economic activity. On tap are final March figures for the leading and coincident indexes, plus April numbers for machine tool orders, convenience store sales, department store sales and Tokyo condominium sales. In addition, the Cabinet Office will release its monthly economic report for May. The leading and coincident indexes are expected to see little change from the preliminary reading that suggested scores of 97.6 and 93.3, respectively. Machine tool orders plummeted 24.1 percent on year in March, while convenience store sales eased 0.4 percent, department store sales added 3.9 percent and condominium sales surged 48.4 percent. New Zealand will see the April results for its Performance of Services index; in March, it came in at 55.4. Thailand will provide gross domestic product numbers for the first quarter of 2013; in the previous three months, GDP was up 3.6 percent on quarter and 18.9 percent on year. Hong Kong will announce its unemployment rate for April, with forecasts suggesting 3.4 percent - easing from 3.5 percent in March. 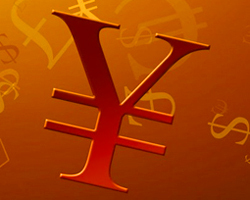 The Japanese yen declined against other major currencies in the early Asian session on Tuesday. The yen is worth 99.97 against the loonie, 102.65 against the greenback and 106.00 against the franc. The yen also reached a 5-day low of 83.76 against the kiwi, 4-day lows of 132.29 against the euro and 156.50 against the pound. Japan saw a merchandise trade deficit of 879.936 billion yen in April, the Ministry of Finance said on Wednesday. That missed forecasts for a shortfall of 620.6 billion yen following the downwardly revised deficit of 364.0 billion yen in March. Exports were up 3.8 percent on year, also missing forecasts for a gain of 5.4 percent after adding 1.1 percent in the previous month. 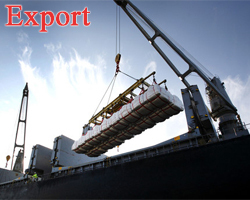 Imports climbed an annual 9.4 percent versus expectations for 6.9 percent following the 5.6 percent gain a month earlier. The U.S. dollar gained ground against other major currencies in the early Asian session on Thursday. The greenback reached as high as 103.56 against the yen, closer to 4-1/2-year high of 103.73 set on Wednesday. The greenback advanced to a 3-day high of 1.2823 against the euro area currency, reversing from yesterday's multi-day low of 1.2997. The greenback approached 1.5013 against the pound, a level not seen since March 14. On the upside, 1.49 is seen as the next resistance level for the greenback. The U.S. currency rose to 0.9817 against the franc, not far from its 9-1/2-month high of 0.9838 hit yesterday. The won stood at 1,127.6 per dollar at 0030 GMT, just above 1,128.7 at the end of local trade on Thursday, when the South Korean currency fell 1.3 percent as an equity selloff around the world sparked a flight to safer assets. Bond futures fell as concerns about the equity selloff eased and South Korea's central bank chief warned of risks from the future unwinding of massive monetary stimulus by the world's major central banks. The dollar is little changed in comparison to its major competitors on Friday. With equity markets adding to their recent weakness, investors appear hesitant to take a position ahead of the long holiday weekend. After reporting a sharp drop in new orders for manufactured durable goods in the previous month, the Commerce Department released a report on Friday showing that durable goods orders rebounded by more than anticipated in the month of April. The report said durable goods orders surged up by 3.3 percent in April after tumbling by a revised 5.9 percent in March. Economists had expected orders to climb 1.1 percent compared to the 5.7 percent drop that had been reported for the previous month. The Economic and Monetary Union (EMU) is a more stable union today than it was a year ago, European Central Bank President Mario Draghi said Thursday. Also "markets are fully confident that the euro is a strong and stable currency," he said in a speech in London. Speaking on the deep financial and economic interconnectedness between Europe and the UK, Draghi said Europe needs "a more European UK" as much as the UK needs a more British Europe. Eurozone's economic activity will likely stabilize sooner rather than later, supported by the gradually improving consumer confidence and the boost to purchasing power coming from low inflation, IHS Global Insight Chief UK and European Economist Howard Archer said. The dollar dipped against the yen in early Asian trade on Monday after marking its worst week in a year on Friday, as volatility in Japanese stocks and bonds pulled it well away from its highest level in 4-1/2 years. The greenback last bought 101.13 yen, dropping 0.1 percent from Friday, when it scraped a trough of 100.68 on Friday and closed 1.9 percent down on the week. An index measuring corporate service prices in Japan was down 0.4 percent on year in April, the Bank of Japan said on Tuesday, standing at 96.1. That missed forecasts for a decline of 0.2 percent, which would have been unchanged from the previous month. On a monthly basis, corporate service prices were down 0.3 percent after rising 0.7 percent in March. Among the individual components, prices were up for advertising and transportation. They were down for real estate and flat for other services. The dollar gained broadly in early Asian trade on Wednesday after robust economic data boosted Treasury yields and raised expectations that the Fed may make an early exit from its easing scheme, making the greenback more attractive. Against a basket of currencies, the dollar rose 0.2 percent to 84.33 after tacking on 0.7 percent in the previous session. Demand for dollars rose as Treasury yields surged to their highest in a year and the Dow stock index hit another record high. 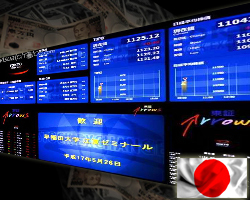 Reversing early gains, the Japanese yen slipped against other major currencies in the early Asian session on Thursday. 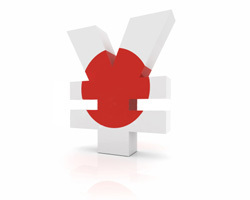 The yen is trading at 101.35 against the greenback, 131.26 against the euro, 97.48 against the aussie and 82.03 against the kiwi, retreating from an early multi-week high of 100.58, multi-day highs of 130.32, 96.96 and 81.56, respectively. The yen fell to a 2-day low of 105.34 against the franc from an early high of 104.71. The yen is worth 153.22 against the pound and 97.81 against the loonie, down from early highs of 152.24 and 97.20, respectively.